I am SO ready for summer. And as a parent, summer and sun safety baby products are going to be on your mind a lot. 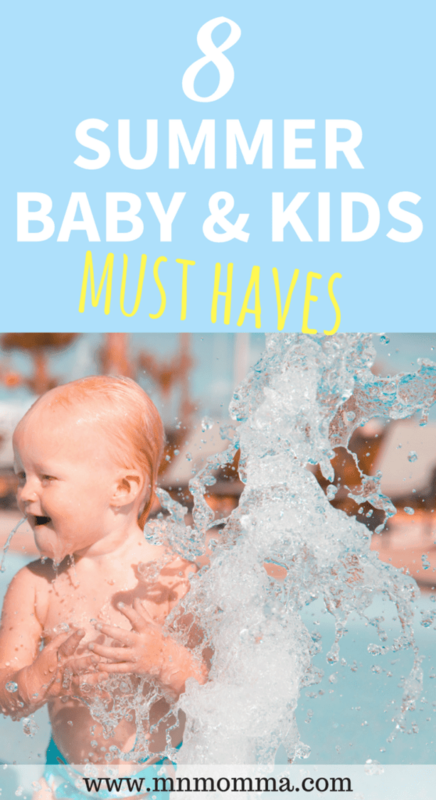 Whether it’s sun safety or just super helpful outdoor products, these summer baby products are essential to your summer fun! Sunscreen should be your #1 sun safety baby product. Keep in mind that you should not use sunscreen on babies who are under 6 months old. Instead, they should be kept in shaded areas out of the sun. However, once your baby is over 6 months, lather those babies up! Your little one needs all the protection he or she can get from the sun. There are so many sunscreen options available – but ones that contain zinc tend to be the most common for babies. This is because zinc is considered safe on your baby’s sensitive skin. Keep in mind that not all sunscreens are considered equal. Some baby’s may have certain allergies or eczema and may need a different sunscreen formula. If you’re having trouble finding the right one for your baby, talk to your doctor. If you have a baby under 6 months old, you might feel trapped. You want to spend time outside and give your little one fresh air, but you have to constantly keep him or her out of the sun. Thankfully, you have two great options. Grab this amazing tent and give yourself and your baby a chance to enjoy the outdoors! This tent packs away easily, which makes throwing it in the car for a trip to the beach or the park a breeze. It protects against UV rays and is perfect for the whole family to catch some shade. This tent from Fisher Price is one of my favorites. 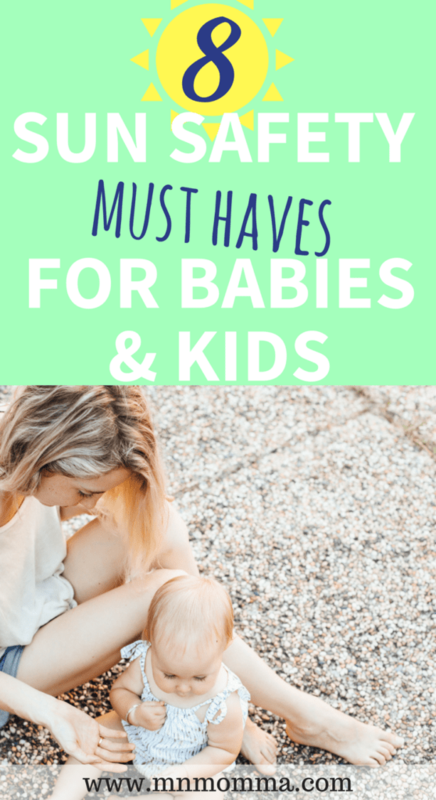 It can be used indoors or out and the shade protects against bugs and the sun – while also offering your baby a safe place to enjoy the outdoors. It folds flat making travel as easy as ever. I love the Kelty Child Carrier. Not only is it great for those summer walks and hikes you’ll take, but it’s also got some awesome sun protection. The sun shade will help keep the sun off your little one and let you both enjoy your time exploring the outdoors! For my full Kelty review – click here. Speaking of sun shades, they can be used almost anywhere. Sun shades help block harmful UV rays and allow your whole family to have an enjoyable time outside. Put one on your deck or just set one up in your backyard for a full afternoon of outdoor fun! Hats and sunglasses are so important when it comes to sun safety. A wide brimmed hat will keep the sun off your baby’s ears and block some of his/her face as well. As much as your little one might fight sunglasses, it’s important to keep trying to get him or her to wear them. Sun glasses will help keep your baby’s eyes safe from the sun. Grab the UV protective clothing! 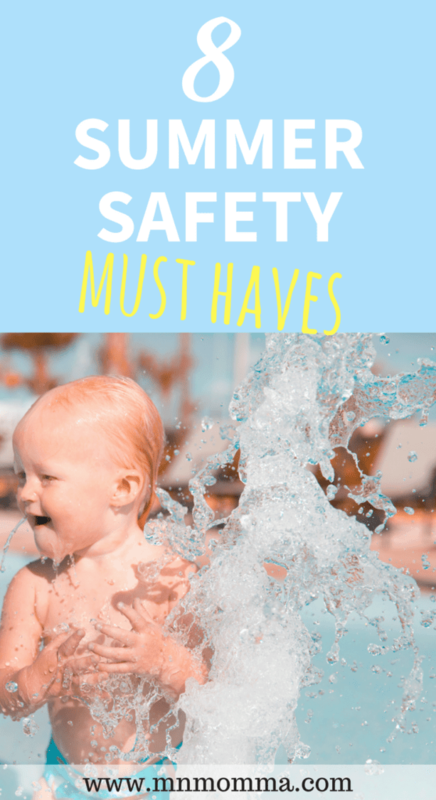 When your child or baby is playing in the pool it can be easy to forget UV protective clothing. While reapplying sunscreen is great, an added layer of UV protection is a great addition. Rash Guards made with UV protectants are a great way for your baby or child to stay safe from the sun, especially while playing in the water. Better yet, they don’t have to be boring, how cute are these UV protectant rash guards? If your little one is going to even be near water this summer – get him or her a life jacket. There are so many different grades and types of life jackets, that it can be confusing. All parents just want a reasonably prices life jacket, that they can trust will save their child if they need it to. 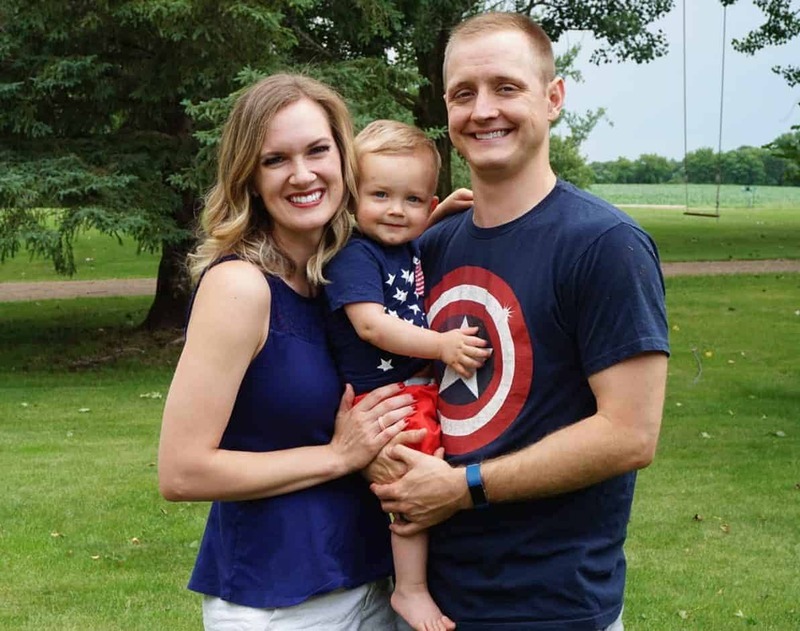 Thankfully, Jennifer on MomTricks did a great job of reviewing several life jackets and educating readers on the best ones for their babies. After reading her reviews, we’ve been loving this one. It’s reasonably priced and we feel comfortable having our little one safely zipped up in it. I love this baby camp chair. Whether your baby is a Baby Led Weaning baby, or just wants to sit and play with toys, this chair is a summer baby product necessity. The baby camp chair is easy to pack up and take with you anywhere. Whether you camp or just plan to sit outside and have a picnic, it couldn’t be easier to bring your baby with to enjoy! Be sure to put your camp chair under a shaded tree or use one of these cool portable sun shades! 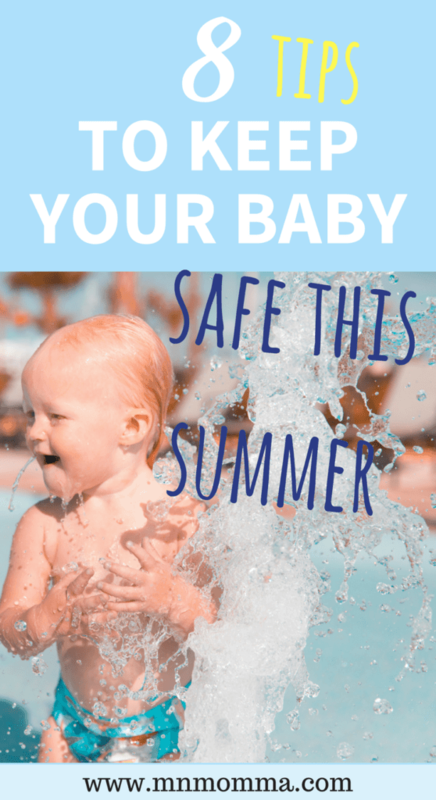 Whatever your plans are this summer, be ready to keep your baby safe. 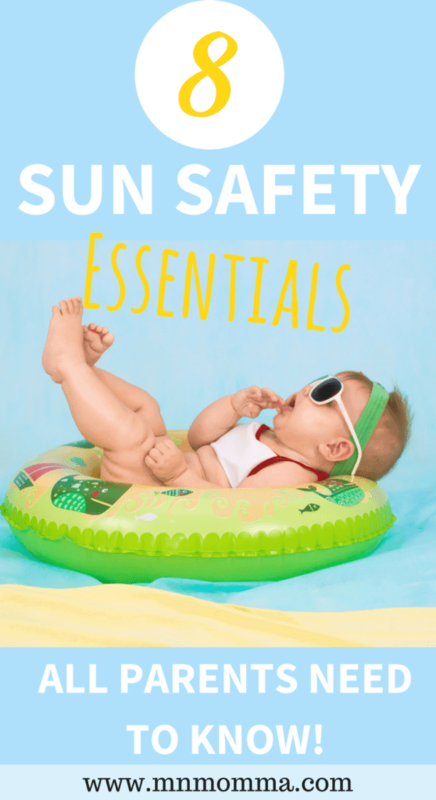 Babies need to be protected from the sun and from overheating. Be careful when you cover your little one to protect them from the sun, that you are not trapping heat and making it harder for them to breathe. 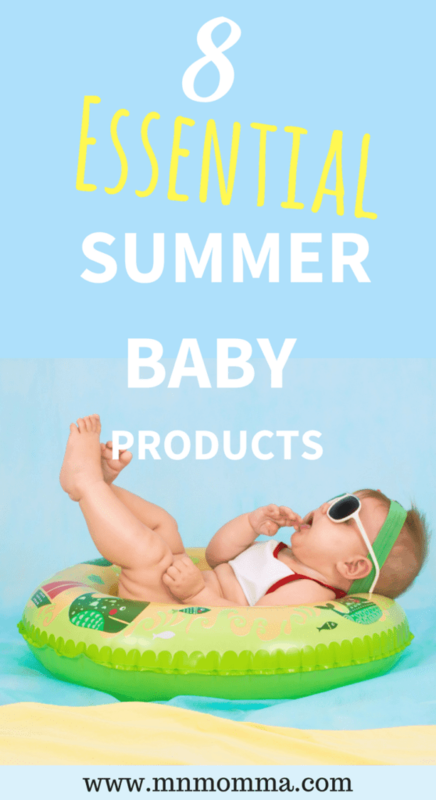 Enjoy the beautiful weather and stock up on these great summer baby essentials! And don’t miss out on the Free New Mom Checklist Bundle – just click the image below!